Happy September! We’re just twenty-six days away from the release of Cheerleaders From Planet X! The response to this book has been absolutely phenomenal, guys. I never could have imagined there would be so much enthusiasm for such a weird little story. As a writer, it’s seriously the greatest thing ever. Which is why I want to give my readers an extra special thank you. You may already know that I ordinarily get some special swag made up for paperback orders of books placed through my store. This time, I want to thank all my readers, of both paperback and ebook. So, I’m offering the special artwork I had made of Laura and Shailene to everyone who preorders the book—ebook or paperback. 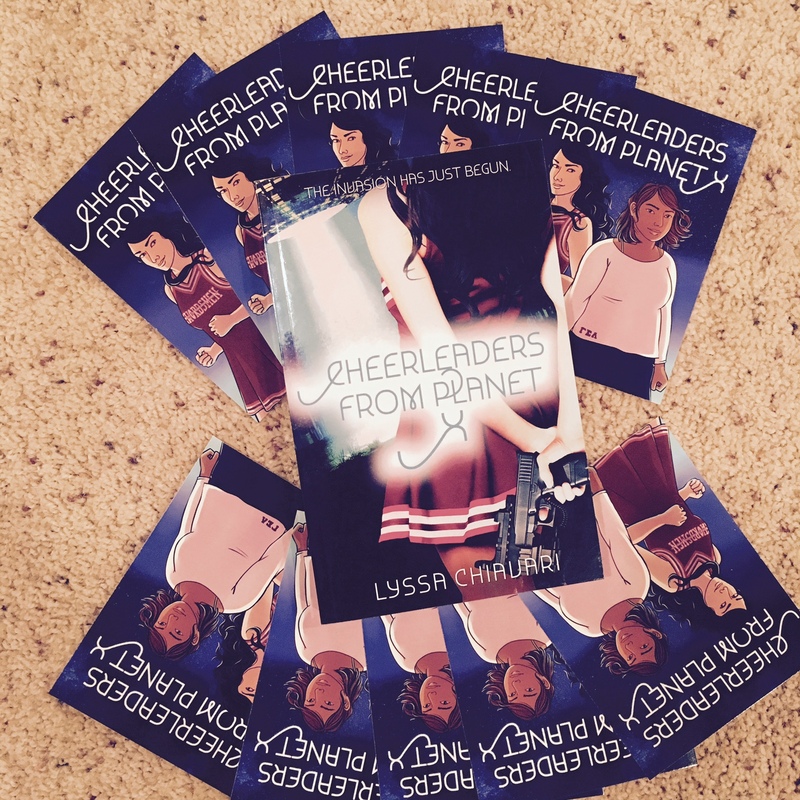 If you’ve preordered Cheerleaders From Planet X from any retailer (you can find all the places it’s available here), please email me your proof of purchase at lyssa.chiavari@gmail.com. If you live in the US, please also include your mailing address and I will send you the postcard! If you live internationally, let me know and I will send you a special wallpaper of the artwork. Thank you so much to everyone who has preordered, and for your phenomenal support of Cheerleaders From Planet X!